Capabilities fans and fans of the computer game The Sims grow with each new addition. In the second and third parts of the trilogy The Sims players now have the ability to change the age of your character. And it can be done without the use of codes. In The Sims 2 rejuvenating SIM can use the elixir of youth. You can buy it in the awards. For this it is necessary to accumulate a certain number of points that your character receives for each fulfilled desire. The youth elixir (liquid bright green color) is a glass vessel resembling an hourglass. Drinking one serving of the elixir, your SIM younger by 3 days.Also in The Sims there is a code which disables the aging process: aging on/off off - turns off aging on - turns again). In The Sims 3 such code not. To make your character younger, you have to work hard. So, there are 2 ways to change age of character. The first method is to find the seeds of the fruit of life, to grow them and eat the fruit. The fruit of life rejuvenates SIM for 1 day. The seeds of the fruit of life scattered around the city. They can be found in cemeteries, hospitals and many other places. To plant the seeds and grow them, you will need a level of horticulture not below 7. The second method is to cook and eat food of the gods (Ambrosia). First you need to upgrade your cooking level to 10. Then buy the book with the recipe for ambrosia in bookstores. After reading it, you will know that for cooking you need 2 ingredients: the fruit of life and the fish-death. How to get the fruit of life described above. To catch the fish-death, need to have level 10 fishing. It is found in the lake at the cemetery and catch it from 00.00 to 05.00 the bait fish-angel. Fish-angel can be caught in any freshwater bait for catfish, and catfish - cheese. Having these 2 ingredients, you can cook ambrosia. After the SIM eats it, he will return to the beginning of the age period, in nezavisimoti how many days he has lived. Also allows ambrosia to revive the Ghost. If your family's character died, his ashes can be attributed to the scientific Institute. After a failed experiment a Ghost to join your family. If to force him to eat the ambrosia, he will again become a living character. If the collection of ingredients for you tedious, the settings of The Sims 3 will also prolong the life of the Sims. To do this, choose the menu "game settings" and extend the epic life Sims. This setting applies to all family members. Your Sims will live a lot more days in each age group. 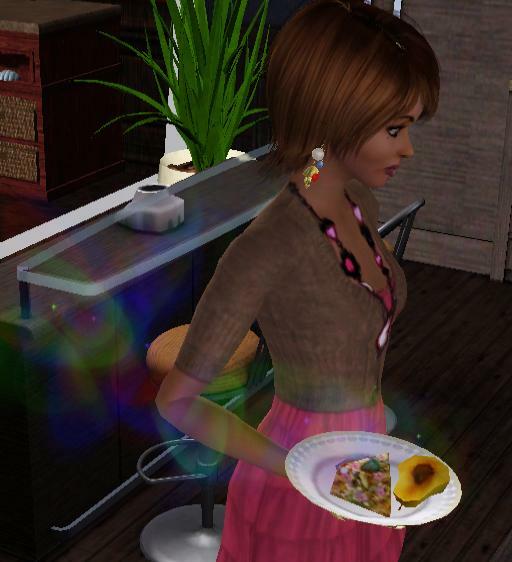 Dreams of a lifetime Sims 3; how to change the dream of a lifetime. As Sims created in the image and likeness of man, would be just amazing if they don't know how to dream. Dream in Sims 3 - the main purpose of the life of Shem, the execution of which is given a huge amount of happiness points (see table below), and they can be spent to purchase a variety of "bonuses" can significantly ease the process of playing Sims 3.